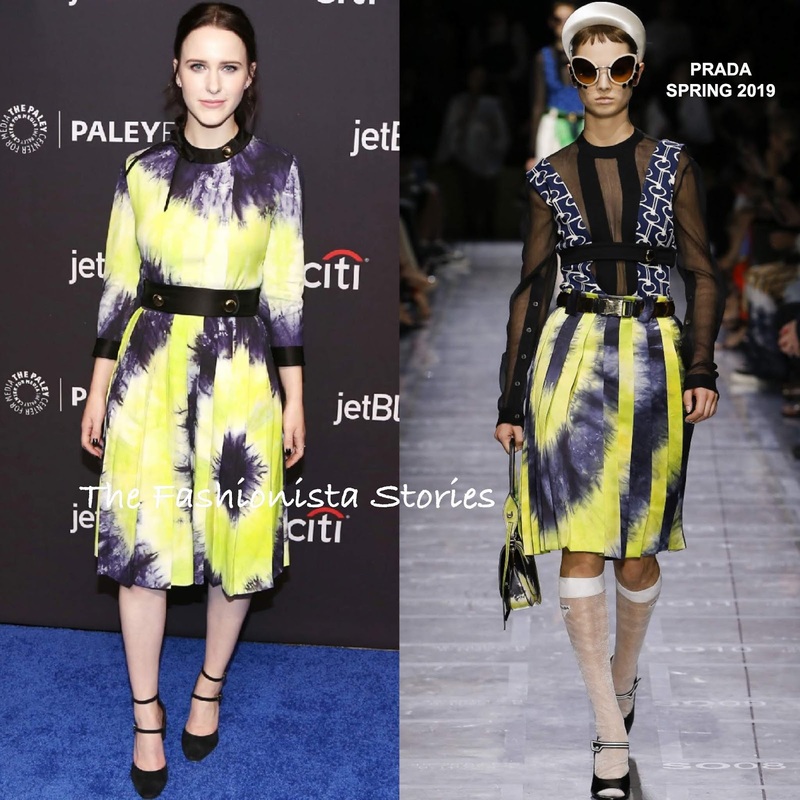 On Friday(March 15th) Rachel Brosnahan and Marin Hinkle hit the blue carpet for the 2019 PayleyFest LA Opening Night Presentation of The Marvelous Mrs. Maisel in LA. Rachel Brosnahan stepped out in a PRADA SPRING 2019 tie-dye, pleated dress which she accessorized with JENNIFER MEYER jewelry and black double strap pumps. I prefer Rachel's piece on the runway's presentation. 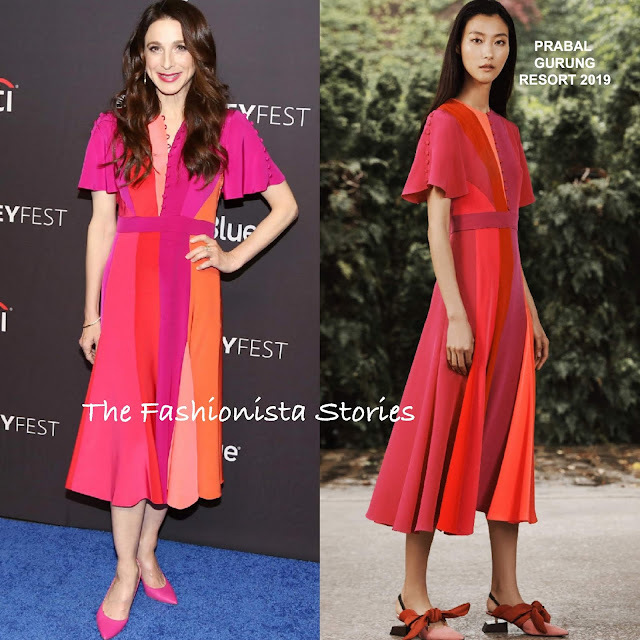 Marin Hinkle wore a PRABAL GURUNG RESORT 2019 colored patchwork panel dress, which she teamed with pink pumps. While the pink pumps don't look, I think white pumps could have elevated her look.